I have been so busy this week, it's almost sad, BUT, I'm going to treat myself to the newest James Bond movie, Skyfall, tonight. I have to do it this evening because I'll be focusing on writing yet another paper for my marketing management class that is due on Monday. However, speaking about Bond, I'm glad that Daniel Craig has already signed on for two more James Bond movies after Skyfall. He is by far the best James Bond, I just love him. But then that brings me to think about how wonderful it would be for Michael to take over the Bond mantel after Craig. Like how Daniel was the first Blond bond... perhaps it's time for a Ginger Bond. People are also very interested in having the first black James Bond, and Idris Elba should just be given that role flat out. 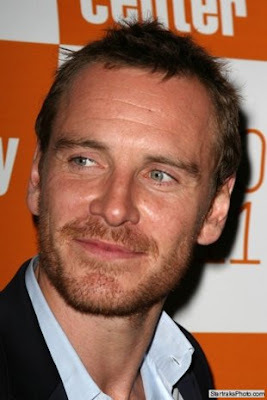 Anyway, it's TGIFassy and I hope you all have a great weekend! Ohhh Simone, I'm sure you speak for a lot of people!Michael would make an excellent Bond. And seeing all these photos from The Counselor set really get us in the Bond mood.Surprisingly, I read an article recently (was it GQ?) that stated that Sam Worthington is the most likely choice. For me he seems one of the most unlikely. No, no plaese! no Michael as Bond! Your enthusiasm have made me decide to go and see Skyfall. I'm not a Bond fan but I watch it when it's on tv or so. Never seen one in the theatre. But last week I subscribed myself for for € 18, - [$23] per month an unlimited access to 19 movie theaters in Rotterdam, Amsterdam and The Hague (mainly art house movies) and also access to many special programs like talk shows, premieres and film festivals. So that gives me the oppertunity to go and see films in the theatre which I normaly won't because of money issue. And Michael as Bond? Although it will be a great opportunity for him I'm affraid that he always be seen as Bond and, to me, that would be a pity.